The doctor is in! 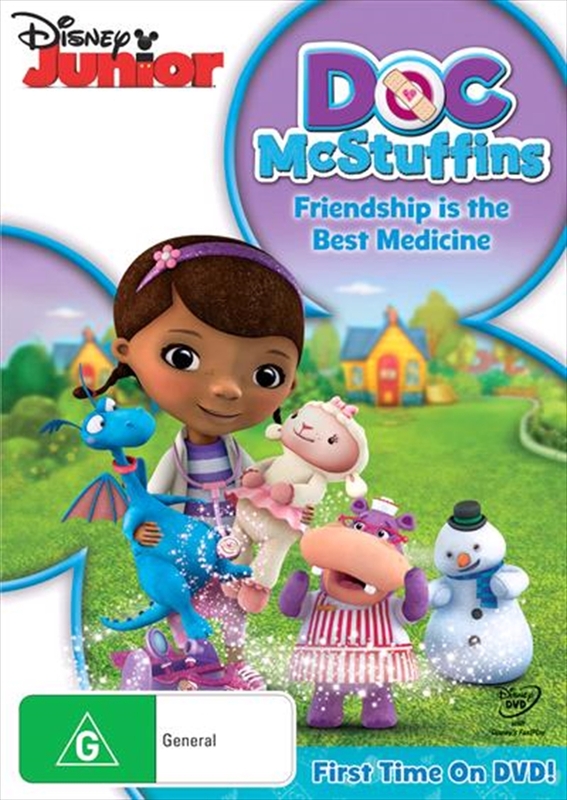 Meet "Doc" McStuffins, an amazing six-year old with a very special talent: She has the ability to talk to and heal toys! Together with her trusty friends Hallie, Lambie, Stuffy and Chilly - Doc treats and helps all toys and stuffed animals that need their boo boos fixed, ouchies kissed and problems solved. Whether it's a raspy walkie-talkie with "Staticosis", a toy crab - with "Claw-be-gone-it is" or just a little doll who needs a big hug,Doc McStuffinsis on call 24/7 to help everyone discover the importance of taking care of themselves and others. Treat your little one to five, fun- filled episodes packed with laughter, music and adventure that prove- Friendship Is The Best Medicine!